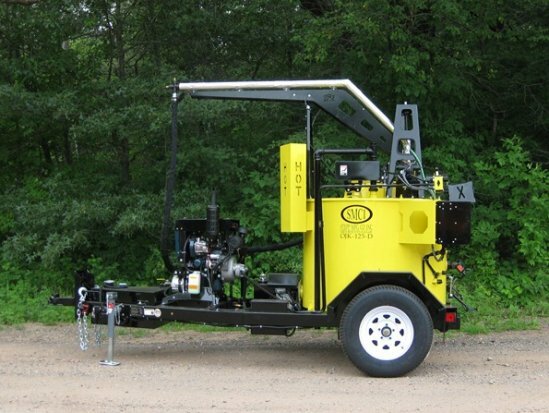 Stepp Mfg has always been an industry leader in technology with crack sealing equipment, and with our new OJK-V line of crack sealers, we continue to be the number one choice for crack sealing equipment. 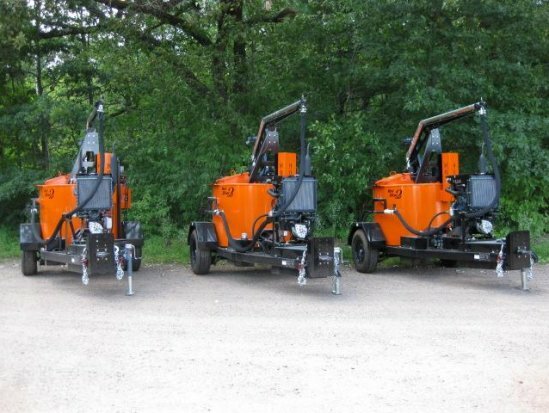 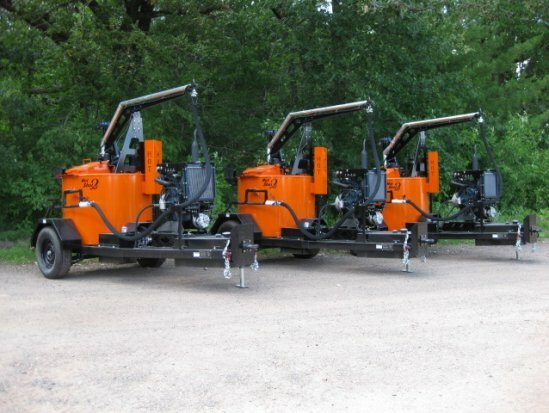 With over 20 new design innovations on our OJK-V series, we took a great machine and made it even better! 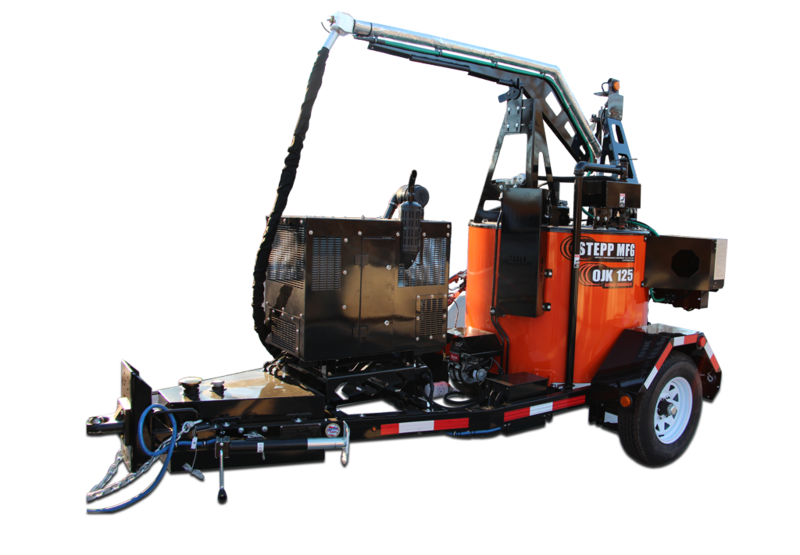 The Stepp Mfg’s Oil Jacketed (double boiler) Asphalt Crack Sealing Kettle is used to melt rubberized crack sealing and water proofing compounds, and apply them to roads, parking lots, and bridge decks to repair and seal cracks. 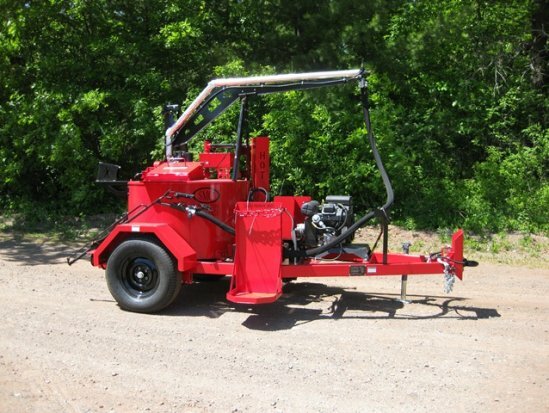 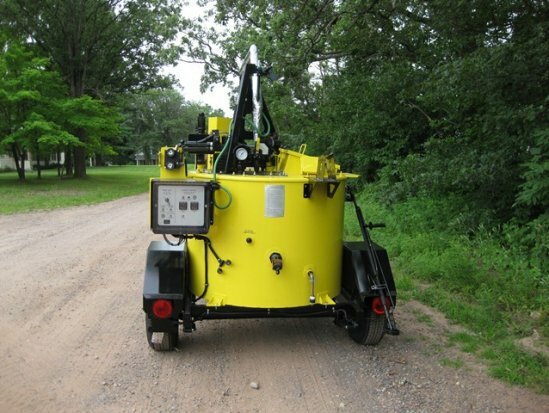 Our OJK-V tar kettle is trailer mounted and completely self-contained, meaning it is capable of heating, melting, and applying all grades of rubberized asphalt crack sealer, joint sealants, and waterproofing compounds without the need for additional equipment. 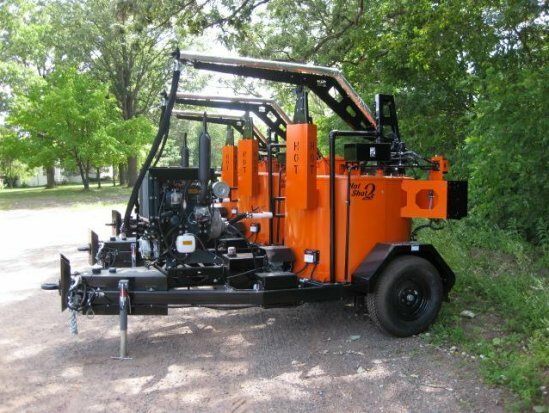 Our submerged pumping system eliminates freeze-ups by allowing the pump to heat with the material, and a splash-free safety loading chute ensures safe operation; couple that with the heated overhead boom and auto-loading system, and you have the ultimate crack sealing machine.